Located just north of Albany, ny this city is named for its mineral springs, almost all of which are naturally carbonated and have made the town a favorite resort destination for over 200 years. But there's so much more... The oldest horsetrack in the us. Arts. Culture. worldclass bars and restaurants. There really is a lot going in Saratoga that make it truly the summer place to be! Saratoga's biggest draw, the Saratoga Race Course is the oldest continually operating thoroughbred horseracing track in the US. People come from all over the world for this one-of-a-kind sporting experience, special events, giveaways, and cultural ambiance. The Saratoga Performing Arts Center (SPAC) , a 25,000 capacity performing arts venue surrounded by hiking trails, geysers and natural mineral springs has set the stage for world-class experiences for generations. An outdoor performing arts venue, it is the summer home of the New York City Ballet and The Philadelphia Orchestra. It features classical performances, the Saratoga Jazz Festival and major pop and rock concerts. It is also host to a variety of family events throughout the summer. Downtown Saratoga features an abundance of restaurants, coffee shops, shops and boutiques, art galleries, book stores, music venues, and more. And at night, Saratoga Springs offers the same level of excitement as the Saratoga racing season, with concerts, ballet, polo and an eclectic downtown district filled with shopping, dining, and entertainment. When the sun goes, our show ends, but your night in Saratoga has just begun! This features the Roosevelt Baths and Spa for relaxation in Saratoga’s famous mineral springs. The park has nature, biking and hiking trails, fishing, tennis courts, swimming pools, and golf. It's just a trolley ride from downtown Saratoga! Historic Congress Park features picnic space, strolling and biking paths, fountains, duck ponds, and a wildly popular 100 year old wooden carousel. This is the venue for Saratoga Shakespeare Company! The market features over fifty local vendors just a short walk from Skidmore's campus. Find organic produce, cheeses, yogurt, milk, crafts, honey, jams, peanut butter, baked goods, cider, soaps, crafts and more while enjoying entertainment by local bluegrass bands. Yaddo is an artists' community located on a beautiful 400-acre estate in Saratoga Springs, New York. Its mission is "to nurture the creative process by providing an opportunity for artists to work without interruption in a supportive environment." The Yaddo Gardens are free and open to the public year-round, from dawn to dusk, with the exception of Travers Day during the racing season. Saratoga Springs features a rich and storied past. Discover the healing power of natural spring waters and Saratoga's pivotal role in the Revolutionary War, by visiting the many historic locations in and around Saratoga Springs. Larger than several states in New England, bigger even than Yosemite, Yellowstone, Glacier, Grand Canyon and the Great Smokies National Parks combined, the Adirondack Park contains the largest protected wilderness area east of the Mississippi. For more information on what Saratoga Springs has to offer, feel free to contact us below. Join us this Summer. 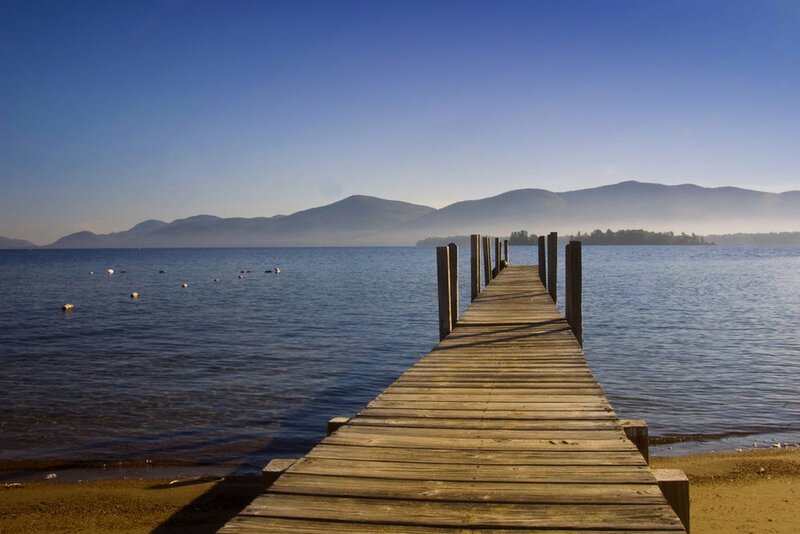 With so much to do in Saratoga, there's no wonder it's the "Summer Place to Be!"